With a full line of products as well as knowledgeable and attentive service, Rosedale Products provides comprehensive solutions for critical industry filtration needs. 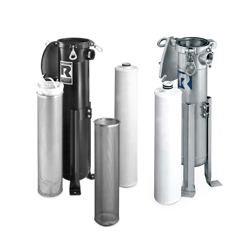 Its product offerings include single bag housings, multi-bag housings, polypropylene housings, indicating filters, centrifugal separators, backwashing systems, coolant filter systems, high-capacity elements and filter bags. Contact the company about its selection of in-stock filter products. 2019 Global Water Awards winners include Suez & IDE Technologies, among others.